My email newsletter came today from Teachers & Writers Magazine–the online zine of Teachers & Writers Collaborative. 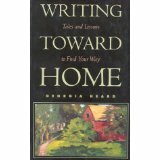 It is loaded with wonderful and imaginative ideas for teaching your writers. You can subscribe to this wonderful magazine (I think I have mentioned it somewhere before on this blog) for free–however, T&W Collaborative is sustained by donations. Here’s a taste of what they offer you in the Back to School edition. Visit http://www.teachersandwritersmagazine.org to sign up for this great magazine, and share with your colleagues! Just Write—a daily ritual in a middle school classroom…Also loaded with good writing tip starters. Teacher & Writers Collaborative supports creative writing programs at community sites and schools in NYC and surrounding communities. They rely upon funding from individuals, corporations, foundations and government to continue their amazing work. They also–which really brings me to this post–publish a wonderful digital newsmag, Teachers & Writers Magazine which is free to you and an amazing resource. Subscription to their digital mag is free (through they would love your contributions). Follow the link above and see what the January issue offers, and while you are there, explore the archives. You will not be disappointed! DigitalIs ….sponsored by the National Writing Project, is a current favorite to visit and I have also joined (free, of course!) and will likely contribute, as well. Every resource, collection, reflection, story, inquiry, is of highest quality, as can be expected from the NWP. I encourage you to visit and look around. I am certain you will find something of tremendous value to support your own digital footsteps. The Shepherd’s Journal is truly the marriage of writing of the natural world and prose/poetry writing. My writing group created a Shepherd’s Journal a couple of times during winter writing retreats, so many years ago now. Here is an example from one year. Our little group emerged in part from Sunbelt Writing Project fellows; others, invited writing pals. Some of us teachers, others not. The journal is easy enough to do: students in your classroom would choose a month of the year and compose thoughts about the natural world and create a poem or passage. The shepherd, historically, and yet today in many countries, followed the natural signs of each month; lives depended upon watching closely. To make this a lower risk writing task, have student groups work together! To make it lower risk–have students “find” poems or passages in prose that reflect the months. Not necessarily to find a poem titled, “January,” but to find a poem or passage that creates images of that cold month that launches a new year. To recall the Winter’s tale that January weaves. Are revisited in the evening embers then reborn with icy morning walks. Some February days in Alabama the soft wind’s a caress, whispering “spring, spring” on hurried, pale winter faces. Strong rains strike on tornado-dark days. Outside my bedroom window the trees are brown tracery against gray sky, the same as January, the same as December—not a green edge of dogwood or sycamore leaf, still. Each time I take my wool winter dress coat out of the closet, I wonder: The last time? . . . before spring cleaning and the sultry months that even now—Suddenly, a 70o day!–are building steam. Pines sing, the sun’s hot. Bright-white clouds, only their undersides gray, sail across sky deepened by just a tinge of cold, a graver blue than the skies of summer. The surface of Lake Martin, the trees on its opposite edge, and that sky dance in a palette of silver grays and gray blues, shifting, transmuting in the now-warm, now-cold wind. Where I sit, on a rough wooden picnic table just dry enough to let us write outside, Andy’s fingers dance on the keys of his laptop. We’re sharing the picnic table top, the multiple-personality wind, the caws and honks of occasional birds and rush of passing cars woven into the sssshssshsssh of the pines. Andy speaks lines to himself, a quiet sound as writing-companionable as the waves of pinesong. Kim’s at the next table over, legs stretched out, soaking in the winter sun, the page of her writing tablet brilliant-white, Vanna White’s teeth white—in the midday winter sun. We’re alone together, in our clean-skied Lake Martin winter-into-spring. Magical March brings warmth for which our souls long…like medicine to cure the colds of winter. March winds whip away frost, sweep away leaves, and blow in the beginning of spring, reassuring all creatures of a new season. Birds come home and begin singing us awake before the alarm clock. Lovers come together and begin kissing before breakfast. Parents prepare picnics, plant flowers, and begin working on spring projects. Kids fly kites, sail toy paper boats, and begin planning for a week out of school. Lonely souls awaken to the idea that life is about living!, and the lucky ones find a way to start. Oh glorious days of constancy! And emerge, open and alive. The sun shines down in streaks of gold between the castled clouds of gray. The wind at first comes blustering, then like a mood it softly fades. A melody that’s soft at first bursts forth in joyful song. And ducks come sailing down to rest upon the glassy lake. Like the skilled musician, it pauses and it plays again. Then one good puff turned the buttercups into a million butterflies. And sings in celebration at the coming of the spring. If you love the outdoors, you find reasons to be out there. June is good enough reason. In June, you feel new and rich and important. And, if you have the habit of keeping a daybook, it will fill with wonders in June. and confidently into June—who stands as a sentinel, guarding the promise of summer. you also tell of it shouting your name, impatiently calling you into the day. And, you take a brush and capture June’s sunlight with soft, proud, yellows in broad, lingering strokes. And you notice that the words in your daybook hide your cares and free fall through blue skies. As June’s days wane, your words ride mare’s tales across the horizon. The words in your daybook dot the landscape of June. You welcome, no, you need, the promise of birds in June. You build and you fill feeders and delight that feathered friends choose your habitat to visit. In your daybook, you write: “June 15th –a pair of cardinals seem to be warming up to me. Still skittish, they abide my presence today…” In June, the songbirds balance your busy life. illuminate the tree-line across the lake, and you, in a small boat, are enveloped in a warm summer night. the sky, adding some movement to what seemed like a magnificent painting of the night sky. Your only hint, you write, of the world we live in, is a few slow-moving satellites sneaking through the stars. the best of this life cannot be earned, but is given freely to those who watch closely. Yes, you write, if you love the outdoors, you find reasons to be out there. And June is a good enough reason. Clouds float toward the evening. Relief as the afternoon rain passes. When once again the wind returns to chase the summer heat. Following the sun to where the land is still at play. Grassy fields of golden hay dance the winter in. The sun grows cool and chills the air as evening comes too soon. And animals fuss about their nests beneath a sanguine moon. Like stars against the darkened sky give way to light of day. The forest fills with orange and gold, the air is filled with leaves. That plant their seeds within the earth until the rains of spring. A winter waiting for the spring to bring it life again. Nothing-gold-can-stay Frostian and philosophic notion. As once they harvested in ancient Autumns olden . Call All Souls for October’s closing to come forth to make our mischief merry! We need a spark to perk us up! December delights in delivering closure on another year of life’s blessings. It invites the cold of winter to nestle just outside the warm circle around the fireplace. The cold teases our toes and tickles our nose—like the gentle kiss of an Eskimo. We begin getting used to layered clothing, wool socks, and warm scarves when we leave our abodes. Birds have said their goodbyes. Forest animals are moving, busy, busy, busy before harsh weather moves in. Pets are allowed inside to make a bed for cozy nights, tucking themselves beside the ones they love. Eyes of young and old begin to dance as the season’s sparkles tantalize. God sends gifts of time with family, memories of those not with us, and promises that our hope is not in vain. The poet Ted Kooser (past poet laureate for USA) just speaks to me. I have all of his poetry books, most are dog-eared from re-reading. Perhaps it’s his Midwestern Nebraska voice that finds myriad ways to distill the complexity of our lives to simple and beautiful words—perhaps that is why he reaches into my heart and head with his poetry. In this poem, Splitting an Order, can you not visualize the scene—an elderly couple sitting at a table in a diner, probably the same table and the same diner they have visited for decades?? I would use this poem with middle/high school kids to invite them to consider how keen the observation in this poem, how the simple details create powerful emotion. It was a sandwich order split among two people!—how beautiful the images created by the details. Enlarging small moments. Kooser is a wonderful poet-author study for middle and high school. His poems reach deep into our own storehouses of memories. Writing from what we know best. This poem is in the collection Valentines, a poetry text I have mentioned in previous posts on this blog. by Ted Kooser, from Valentines. © University of Nebraska Press, 2008. 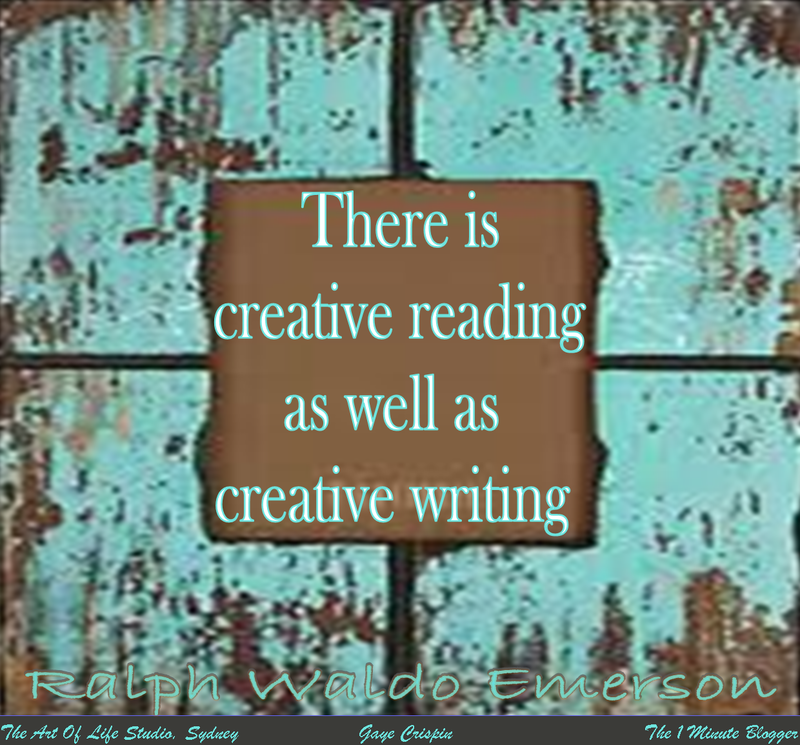 When I discover sites that will encourage creative thinking that results in writing, I get so excited. Here’s a fabulous site from Australia! Lightning Bug is a fantastic and fun resource for the writing classroom. The tag-line of Lightning Bug is, “Your writing partner, helping you write a story from beginning to THE END”. It delivers. Lightning Bug has a great collection of writing resources. Students can explore author blogs, search for character names, get some exercises in creativity, get help with grammar and spelling, and even get help for publishing their written work. The teacher resources are equally helpful for teaching writing. Plus, the interface is appealing and easy to navigate. Check it out, teachers—for ideas to encourage your self-starters, and motivate those who need your helping hand. LOVE Alice Walker--her life of addressing problems associated with injustice, inequality and more. I have used her short story, The Flowers, to teach reading and writing comprehension strategies to my preservice teachers. The strategies described below can be used with any short text that offers some complexity. Thinking Aloud: Thinking aloud–saying what is going on in your mind as you read, is not as easy as it sounds, and preservice teachers benefit from practice, so they will use this strategy often as they model their own thinking for their students. In class, I have them pair up and alternate reading aloud paragraphs of The Flowers, pausing to describe their thinking as they go. With the Think Aloud activity, they generally touch on the seven comprehension strategies we focus on in our Language Arts methods course: Monitoring Comprehension, Activating Schema, Inferring, Visualizing, Determining Importance, Summarizing, and Synthesizing. This text is powerful for a Think Aloud. Find those action words and phrases. What words, phrases, sentences help you to know what’s going on? Find those words, phrases, sentences that make you wonder–that arouse your curiosity. Find words, phrases and images that create images in your mind—OR, that evoke emotional reactions. Find the words, phrases, sentences and images that depended on your prior knowledge or understanding. In jigsaw-type fashion, the groups then report out to all. A variation would be to assign each member in a group of four a role. I posted this as a writer’s notebook suggestion awhile back (under wnb page), but can’t resist the urge to post here, as well. So many years ago when I attended my summer institute of the National Writing Project at Sunbelt Writing Project, Auburn University, I was introduced to the essays of Georgia Heard. One essay…Ten Observations a Day–has literally changed my daily and writing life. Such a simple concept–notice the world you are walking around in. Since that summer of ’99, I have become more wide awake as I go along through my days. Often my noticings end up in my sketchbooks (as in my bird on a limb haiku post yesterday morning)–other times they end up in writer’s notebook pages–sometimes they end up here on this blog; other times they do nothing more than tune me in to me and my reactions to what I see, hear, think, and feel about my day. I love photography, so my HaikuNorth blog is devoted to observations that result in snapshots and tiny words. If you teach—I encourage you to suggest this to your students, especially if they keep writer’s notebooks and/or sketchbooks. Notice ten things today–intentionally, and see what comes of it–a poem, a narrative, a visual sketch, a musical sketch? A camera shot? My visual and written notebook observations, and my HaikuNorth blog, are breadcrumbs into past paths and days, whether remarkable or mundane–they shaped and continue to shape me. Learning to look, notice, wonder simply makes life richer. Does your school share common beliefs about what writing is? Does your school share common beliefs about how to teach writing? Does your faculty translate common beliefs to common practices? Every school has a culture. In schools where writing is honored, encouraged, and part of everyday classroom tradition, the culture of the school says: We really believe our kids have something to say; We really believe our kids have the potential at every age, to express themselves with proficiency appropriate to that age. Is this your school? If yes, share what you are doing as a school to support the writing growth of all of your students.